Patrizio Amici was born in Rome. His passion for music is palpable from early age, so that his family encouraged him to study piano when he was only six. However, after four years he resolutely switched to classical guitar inspired by bands like “The Doors, Led Zeppelin and Nirvana”. In 2003, after having fully taken part to the thrilling Roman nightlife, he planned to move to Ibiza with his group just for a short two-weeks summer holiday but…didn’t came back after four months! The island was an incredible hub of musical activity which introduced him to a variety of musical influences, bands and people as Timo Maas, Martin Buttrich, Carl Craig, Richie Hawtin, Jeff Mills, Sven Vath, Loco Dice, John Tejada and Luciano. The Eivissa experience was so awe-inspiring that Patrizio chose spending two years on the island, performing in many nightlife places and discos, attending and organising events and pool parties. 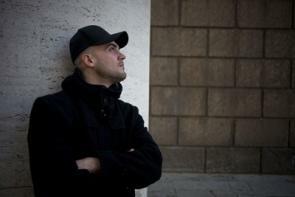 As a result in 2007 he settled to face the music production and moved to Barcelona where he enrolled the “Sae Institute” course in Electronic Music Producer.